Sign up and then email your favorite picture of your pet (all pets matter!) to info@artonthebrix.com. The preferred picture would be a close-up, with lots of detail, so that we can clearly trace the picture onto a canvas. Arrive 15 minutes before class to enjoy a delicious glass of wine/beer and find your spot. 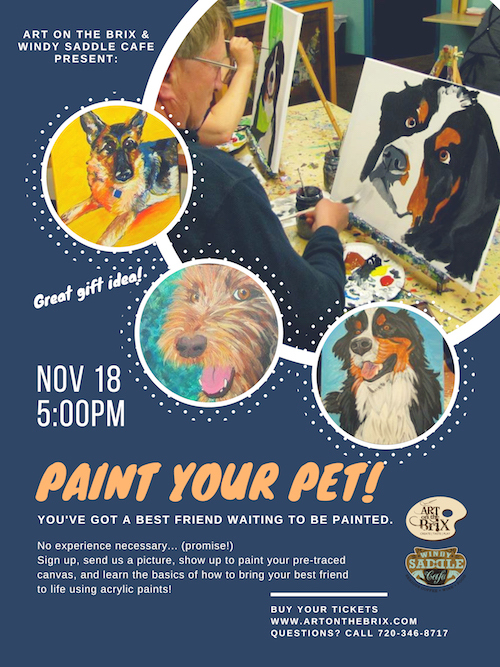 We’ll help you with techniques and color blending so that you go home with a completed masterpiece to frame or hang right up on your wall (also makes a great gift). No experience necessary, just an adventurous spirit! All materials PLUS first drink are included! 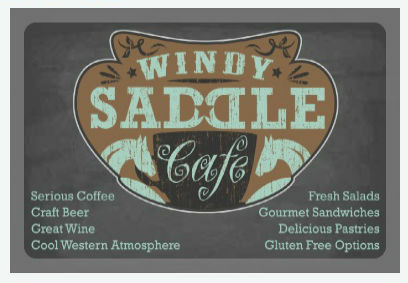 Additional food and drinks are available for purchase at the Windy Saddle Cafe. Remember, show up 15 minutes early to get signed in and find your spot. To register go to Eventbrite.